The Fortnum's wine bar has had a makeover as part of the store's refurbishment in 2007, three hundred years after this grand old department store first opened. The name 1707 comes from the year this bastion of Britishness was first opened. As with the whole of the store, this brand new wine bar within the Fresh Food Hall has been designed by David Collins, famed for his work with the Wolseley - another grand old and very British institution. Despite the loving refurb the store has, thankfully, lost none of its historical charm. Perched at the bar, with its domed roof, you feel as if you're actually in a wine cellar. Best of all, you can order (almost) any bottle of wine from the adjacent Wine Department for a corkage fee of £10 so you get a wide selection of very decent wines. There's also an extensive selection of wines by the glass if you just want the one or an inventive cocktail menu to choose from. There's food too. A delightful 'Wine Flights' menu, designed by chef Shaun Hill, pairs a possible three wine types with your meal which might be a simple pork pie, watercress soup or some Joselito ham and chorizo. 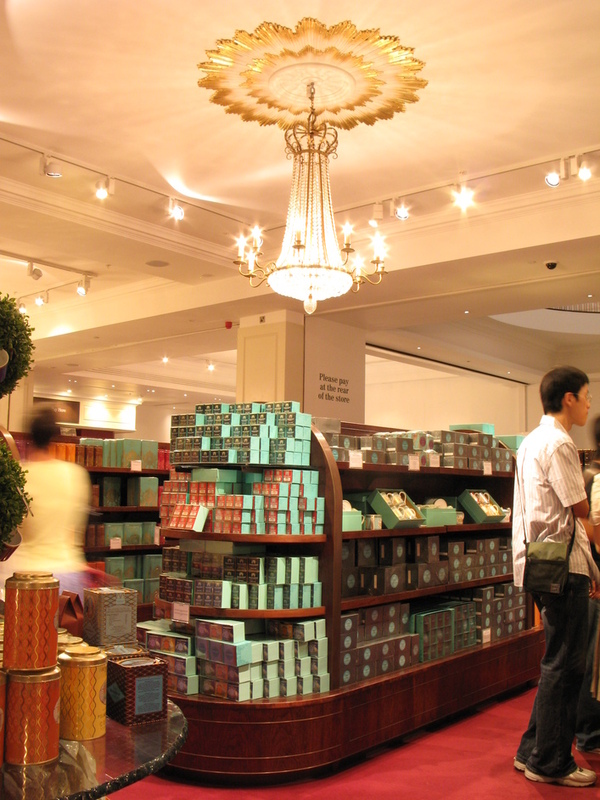 Fortnum & Mason: 1707 Wine Bar clubs, bars, cabaret nights, casinos and interesting nightlife. What are the best dining options near Fortnum & Mason: 1707 Wine Bar London? Fortnum & Mason: 1707 Wine Bar gyms, sporting activities, health & beauty and fitness. The best pubs near London Fortnum & Mason: 1707 Wine Bar. Where to have your meeting, conference, exhibition, private dining or training course near Fortnum & Mason: 1707 Wine Bar. From cheap budget places to stay to luxury 5 star suites see our discounts for Fortnum & Mason: 1707 Wine Bar hotels, including Cafe Royal Hotel from 97% off.